Revealing mistake: Fake backgrounds and stuntmen are extremely evident throughout the entire episode. 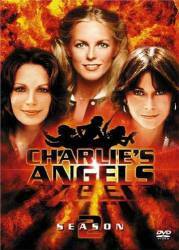 Continuity mistake: Jill and Kelly hijack a cab to stop the killer from bombing Charlie's cab. On the way back to the mansion they pass Charlie's cab and almost run into a large truck. They miss the truck, but Charlie's cab hits it head on, doing some serious damage to the cab's front end. After they stop the killer, Charlie's cab arrives and now has no damage. 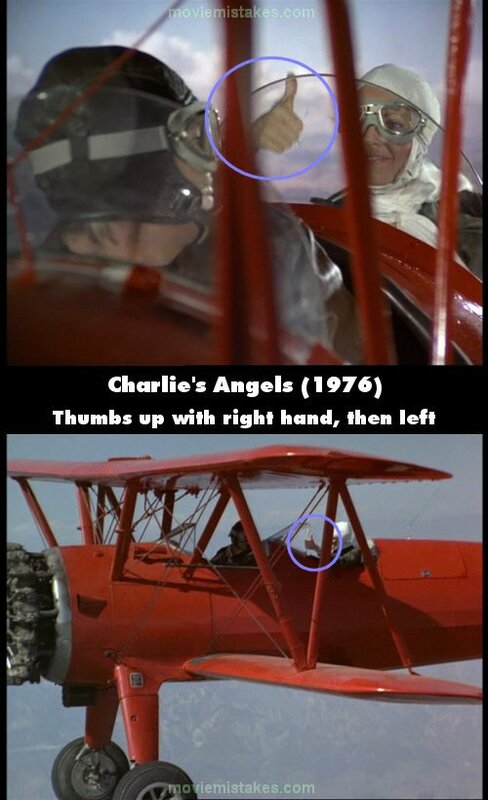 Continuity mistake: After the chase in the potato truck, the Angels are missing the handcuffs around their wrists. But they can't have removed them: they didn't have a key, they only removed the cuffs from the connecting chains, and after they cut off the chains, they were in the truck until they pulled over. Continuity mistake: After the Angels escape the Sheriff's car, they run to a barn. They spot a truck with the back loaded above the cab, with potato boxes. They steal the truck and when they pull out from beside the barn, the truck only has half the amount of boxes. No boxes can be seen higher than the sides of the truck. They don't pull out quick enough for the boxes to fall off.